It is important to make the distinction between being rich and being wealthy. This reminds me of what Chris Rock said in one of his stand up comedy acts. Chris Rock indicated that Shaquille O’Neal is rich because of the salary he received as an NBA player but the owner was wealthy because he was able to pay Shaquille O’Neal the salary. Also, many on Wall Street consider rich as being able to wake up at 4 a.m. in the morning to catch the train to work to make millions whereas being wealthy means waking up without a clock and living a great life. This great life includes an abundance of resources, which includes money, time, friends and family. Being wealthy means future generations will have access to the same abundance of resources. Being rich is about FREEDOM/LIBERATION/SOVEREIGHNTY. Before we list the five steps to resurrect the family as a Wealth creating unit we must understand one key principle to creating wealth, DELAYED GRATIFICATION. Simply put would you prefer a bottle of beer right now or a bottle of champagne next week. That example is the essence of DELAYED GRATIFICATION. A short term sacrifice for a long term gain is how many express it. How many of you are willing to do such? Now let’s take a look at the five simple steps to create wealth. In order to successfully apply these steps one must commit to being disciplined in applying these steps. The following steps will help resurrect the family as a wealth creating unit. 1. Create a Family Economics/Finance Committee. This committee should meet weekly, preferably during the family dinner to discuss family finances. This group is also responsible for teaching financial literacy to all family members, however, all family member should be required to read and study to ensure their understand of finances. This group is also accountable and responsible for family savings and investments. This group should require that all family members donate to a family pool of investment money regularly. 2. Establish a pay the family first policy. This policy ensures that each family member knows their first obligation is to the family’s wealth creation strategy. This policy is not to be broken for any reason. It helps every family member create the habit of saving, creates loyalty toward the collective goal of the family and helps establish discipline for each family member as this policy mandates regular contribution toward the family wealth creation strategy. 3. Establish a percentage that each family member donates to the family’s investment pool weekly, bi-weekly or monthly. By establishing a percentage everyone is providing an equal amount based on their income. A set percentage ensures that each family member will know how much they are to contribute and they will know how to budget according to their other obligations. 4. Create a family business. This is a very important step in creating wealth because it enables family members to transition from working for someone else and working for their family’s business. This step in the wealth creation strategy provides many tax benefits for the family. In this step a family must carefully research the business and industry they see to enter. They must ensure that their individual and collective skills fit the opportunity. 5. Develop a succession plan to ensure that all new family members are educated in financial management; know their role within the family and business. This step is important as it helps the family sustain their wealth creation strategy. 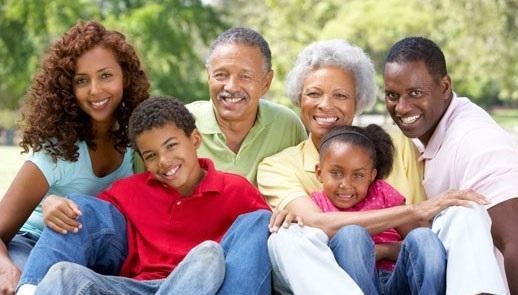 It is imperative that the African American family begin to create wealth. Resources or the lack thereof will be the determining factor in the progress of the African American family. Tags: Black Life Coaches, Creating wealth, Dr. Terry Jackson & Silas Burgess III, family and finances. Bookmark the permalink.